Here in Hallandale Beach, we have one of the few Jewish Women's Teachers Seminaries in the USA outside of New York. Our school of higher Education for young women, the Chaya Aydel Seminary, is starting our 15th year in September, 2016. Our Seminary, which is the only Jewish Teacher's Seminary for Women in the State of Florida and with over 320 graduates, has students from all over North America, Australia, France, England and from many other countries. We accept students whose parents face financial hardships, who would otherwise be dismayed to send their daughters away to seminary. As a result, I take upon myself to raise the tuition and room and board costs so that we may continue to take part in this great Mitzvah. 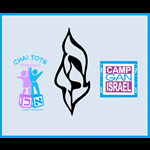 Thank you for joining in with this huge act of Chesed. May Hashem bless you for this Mitzvah, and all the great Mitzvahs you do, in an overflowing measure, both materially and spiritually. Anything you can help with is greatly appreciated. Yes, I would like to help Chabad of South Broward help needy families ease their financial burden and send their daughters to Chaya Aydel Seminary. Please include me in your noble campaign.